The new Volkswagen midsize SUV brings more space and versatility to drivers. There are also a variety of 2018 Volkswagen Atlas trim levels from which to choose, including the SE and SEL. Check out some of the popular trims below as well as its performance features, and then see them in person near Long Beach at Sunrise Volkswagen. 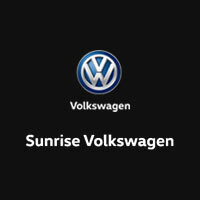 You can also browse our entire SUV and wagon inventory to see what else Volkswagen has to offer. This trim gets the available 276-hp 3.6L V6 and comes standard with in-demand features like a panoramic moonroof, satellite radio, and the VW Car-Net® App-Connect technology. Move up to the SE and you’ll get a Blind Spot Monitor with Rear Traffic Alert, as well as high-quality audio from the Composition Media touchscreen sound system. The SEL increases comfort with 10-way power adjustable driver and front passenger seats, as well improving safety and convenience via Adaptive Cruise Control. Enjoy total connectivity with the Discovery Media touchscreen navigation system, as well as the 12.3-inch full-color Volkswagen Digital Cockpit. For more information or the chance to see the Volkswagen trim levels for yourself, check out our 2018 Volkswagen Atlas inventory. Take advantage of our College Graduate Program and get an affordable financing offer today. If you have questions for our staff, don’t hesitate to contact us.